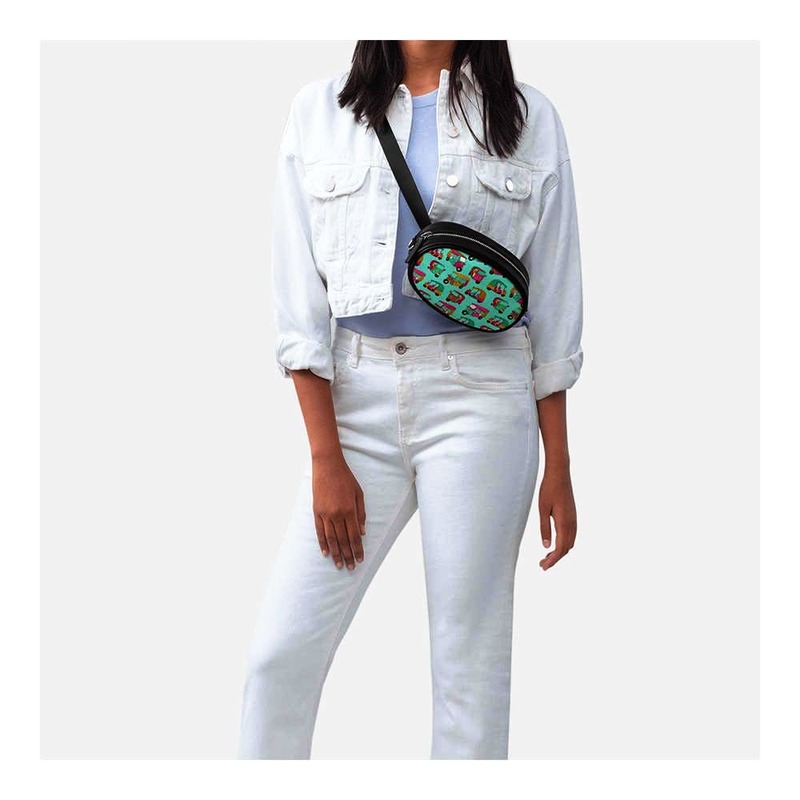 Once upon a time, fanny packs were considered uncool, but they're back in trend now and can be seen in a much better avatar too. If you're someone who likes to be up-to-date with all the fashion trends and bring your A-game style every day, you need to get yourself a belt bag stat. Thankfully, we've got a killer collection of waist bags on LBB too and we've shortlisted our five favourites for you. We love that this bag comes in a classy midnight blue colour that'll just about go with most outfits. The beaded aztec belt also adds some personality to this piece. The belt is also detachable so you can always carry it as a clutch too. We love funky prints and if, like us, you love 'em too, this auto-rickshaw print belt bag will be right up your alley. This option will be perfect for those who're a bit more experimental with their looks. We also love the adorable pebble shape this bag comes in. If you're bored of carrying around leather bags, this handloom fabric bag with a leather strap might be a good option for you. It's colourful, comes with a carved leather flap, and looks oh-so stunning. Want to add a pop of colour to your look? This pink and blue belt bag will do just that (apart from being functional too, obviously). It also comes with a long adjustable strap so you can wear it sideways, as a sling, and like a waist bag too. If you're someone who is not confident about carrying a belt bag but still wants to give this trend a shot, this basic black option is a safe bet. For starters, it's black, has minimal stitch detailing, and it's priced super affordably too (so you're aren't spending a lot either).